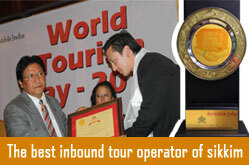 Sikkim is a land of monumental mountains that seem to touch the heavens. These mountains form a part of the long range - the mighty Himalayas. These towering Mountains define this paradise of nature. serene and tranquil in its presence like a saint in transcendental meditation, can be seen from almost all parts of Sikkim. Yoksom and Zongri are two places in West Sikkim between which there is a proper well beaten trekking track in the form of a bridle path. The best time to venture on a trek on this route is March to mid May and September to November mid. 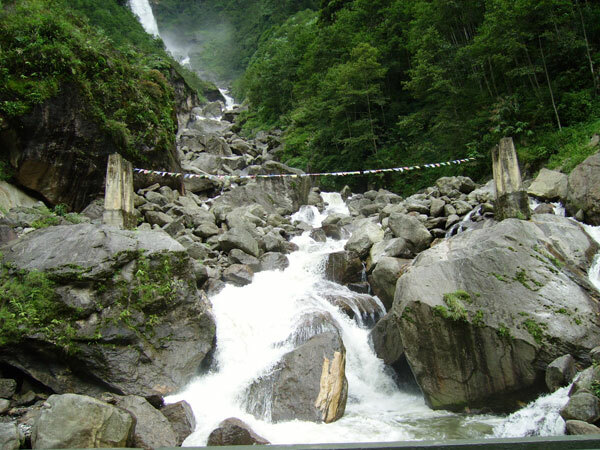 Yoksom was the first capital of Sikkim and it was here that the first Chogyal was consecrated by the three holy Lamas. The spot where this ceremony took place in 1642 can still be seen here. Overlooking Yoksom and about half an hours walk uphill is the Dubdi monastery one of the oldest in Sikkim. The walk to Zongri begins with the track skirting meadows and meandering past huts. After an hour of a flat track which is crossed by small foot or two wide streams whose waters seem to be in a hurry to meet the river below, the climb begins. A walk of another four hours on a path lined with sky embracing trees and carpeted with leaves falling from the surrounding vegetation takes you to Bakim which has a trekker's hut. A further one hour climb takes you to Bakim. You may opt to halt at Tsoka which too has a trekker's hut. 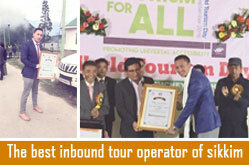 hotel which provides both boarding and lodging. Guides, porters and pack yaks are readily available at Yoksom. Tents, sleeping bags and other trekking equipment are also available for rent at Yoksom. 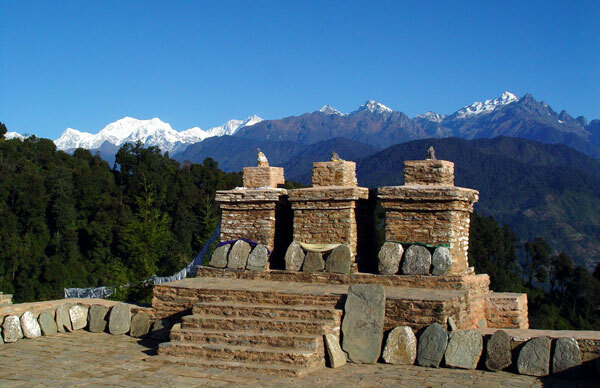 Yoksom was the first capital of Sikkim and it was here that the first Chogyal was consecrated by the three holy Lamas. The spot where this ceremony took place in 1642 can still be seen here. Overlooking Yoksom and about half an hours walk uphill is the Dubdi monastery one of the oldest in Sikkim. The walk to Zongri begins with the track skirting meadows and meandering past huts. After an hour of a flat track which is crossed by small foot or two wide streams whose waters seem to be in a hurry to meet the river below, the climb begins. A walk of another four hours on a path lined with sky embracing trees and carpeted with leaves falling from the surrounding vegetation takes you to Bakim which has a trekker's hut. A further one hour climb and you are at Bakim. 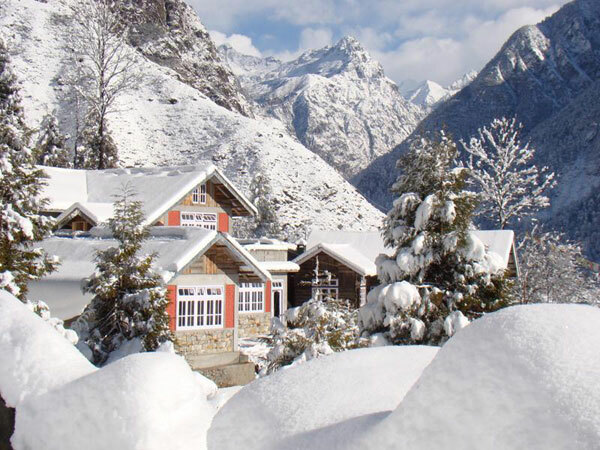 You may opt to halt at Chokha which also has a trekker's hut. Chokha itself is a small village consisting of about a dozen houses and a monastery. To cater to the tourists, most of these houses offer accommodation and food at a nominal cost. The walk between Yoksom and Chokha takes about six hours but would vary c by the trekker's stamina. 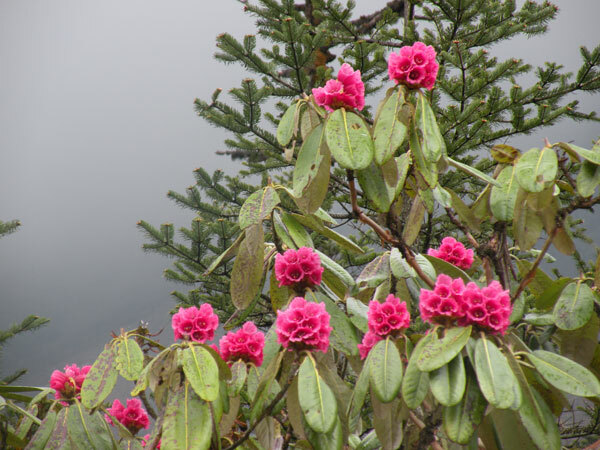 At a distance of about 16 kilometres, one has to climb from Yoksom at 1780 m (5840 it) to Choka at 3006 m.
Another steep climb of 10 kilometres which takes about 4 hours and you are at Zongri at 4030 m. Zongri has two trekker's huts and hardly any other habitation. From the Zongrila pass about an hour's walk from the trekker's huts, the view of the mountain rangesis heavenly. 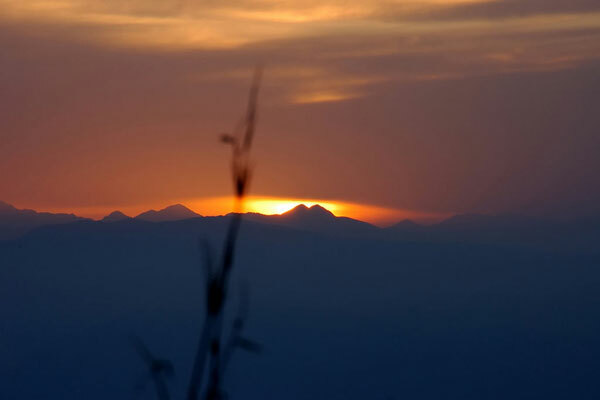 In front of you is the Kabur Dome and piercing the sky is the Mount Pandun. Mount Kanchendzonga with its accompanying peaks towers over you in the North. At Zongri, the bridle path ends and bifurcates into two footpaths: one leading to the Base Camp and the other to the Goechela pass. 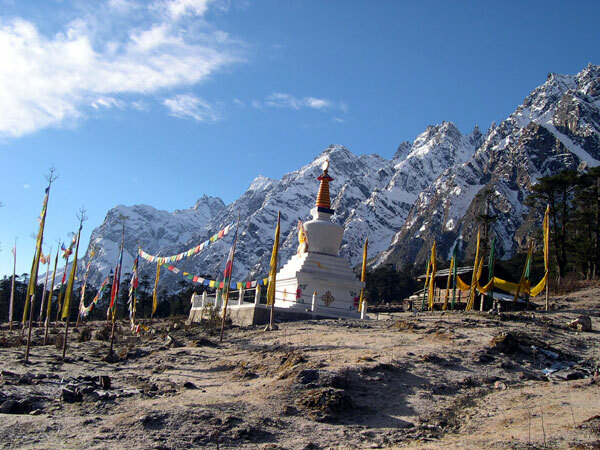 The base camp at 4573 m is 9 kilometres away and takes about three hours for the average trekker to reach. The Base camp which consists of a number of trekker's huts is owned by the Himalayan Mountaineering Institute, Darjeeling which conducts a number of mountain climbing courses every year. The Frey Peak, Koktang, Kabru and Rathong look ominously close from here and tower above the HMI camp. On the other route the Goechela pass at about 4942 m(16210 ft) is about 14 kilometres via Thangsing, Samiti Lake and Zemethang.